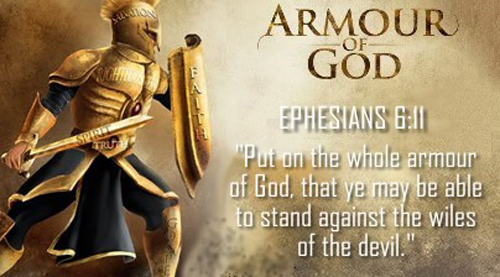 God does not need you to defeat the devil today. Jesus has already done it and given you the victory. (Colossians 2:15, Romans 8:37) Your part is to enforce the victory by simply standing your ground, which is victory ground. In other words, you "fight" from victory ground by standing. You don't fight for victory. 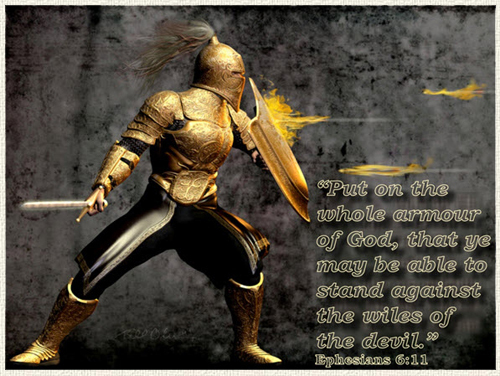 In Ephesians 6:10-18, the passage on spiritual warfare, the word "wrestle" appears only once (verse 12), while the word "stand" appears four times-"stand against the wiles of the devil", "withstand in the evil day", "having done all, to stand", "Stand therefore". (Verses 11, 13-14) Four times the Holy Spirit tells us to stand. Yet, many Christians are focusing on wrestling their way to victory! My friend, you are already on victory ground. You already have everything in Christ. 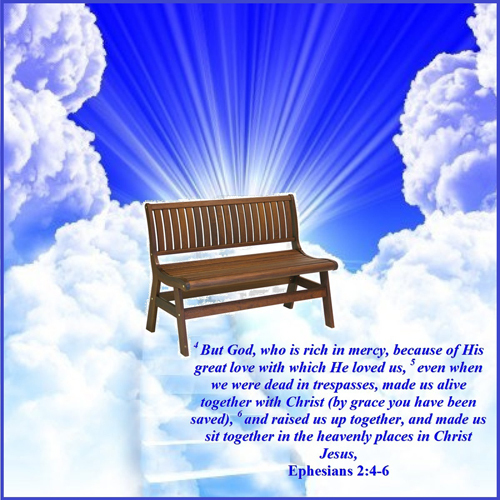 (1 Corinthians 3:21, 23) You are already blessed with every spiritual blessing in Christ. (Ephesians 1:3) The devil knows this. And that is why his tactic is to deceive you and make you think that you don't have the victory. So when he attacks you by saying, "Look at that small sum in your bank account! How are you going to pay the bills?" stand your ground. Declare, "I am not trying to be rich. I am already blessed in Christ!" It doesn't matter how much you have in the bank. You are richly supplied because you are in Christ. And as the need arises, the supply will be there if you believe it. It is the same with healing. The devil will try to attack you with symptoms in your body. He will try to put pain in your body, and make you feel weak here and there, so that you think that you are still sick. He is trying to make you believe that you don't have your healing. That is the time to be conscious of Jesus' finished work and declare, "I am not trying to get healed, I am healed! I am standing on the victory ground which Jesus has given me!" You are already on victory ground. You are already blessed with every blessing in Christ. 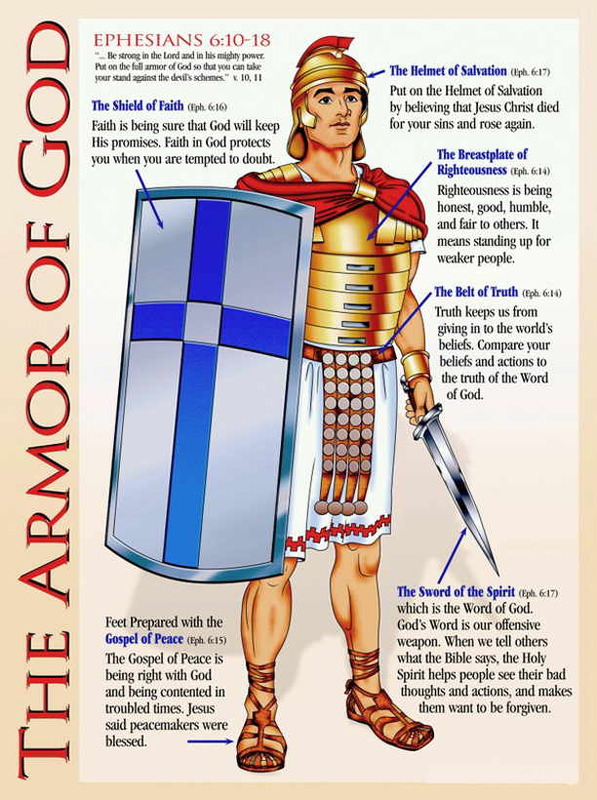 More On: "What is the full armor of God?" 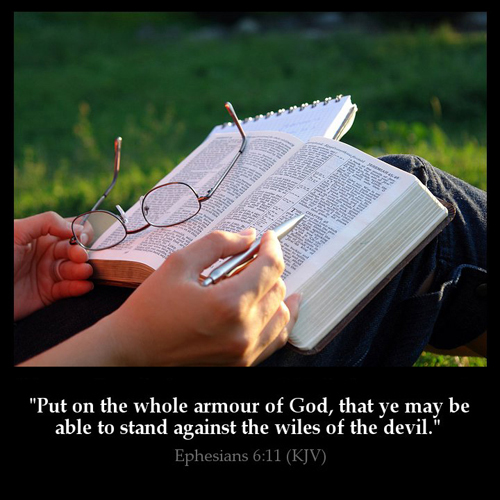 Answer: The phrase "full armor of God" comes from Ephesians 6:13-18: "Therefore put on the full armor of God, so that when the day of evil comes, you may be able to stand your ground, and after you have done everything, to stand. 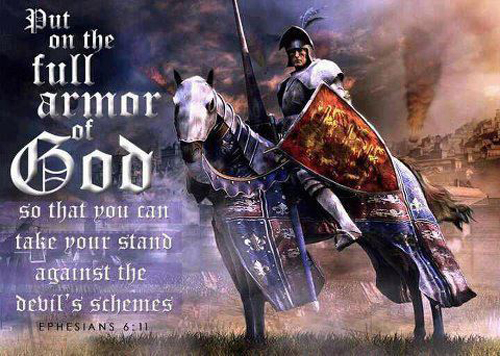 Stand firm then, with the belt of truth buckled around your waist, with the breastplate of righteousness in place, and with your feet fitted with the readiness that comes from the gospel of peace. In addition to all this, take up the shield of faith, with which you can extinguish all the flaming arrows of the evil one. 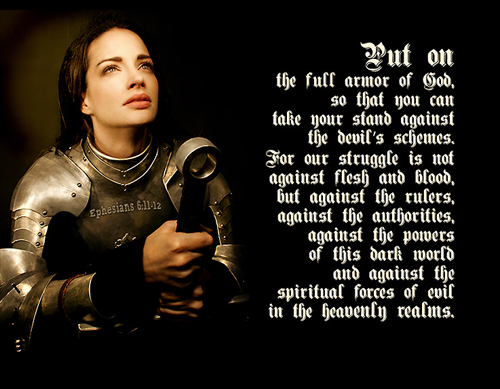 Take the helmet of salvation and the sword of the Spirit, which is the word of God." 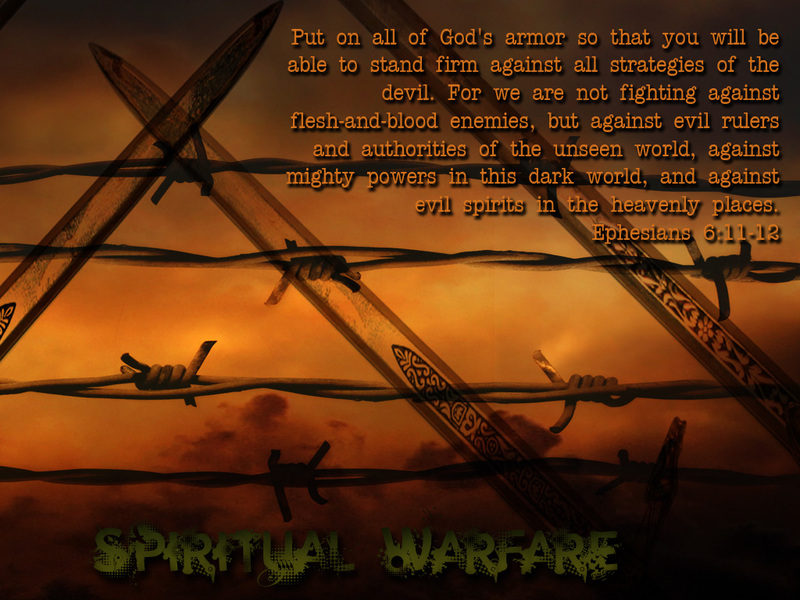 Ephesians 6:12 clearly indicates that the conflict with Satan is spiritual, and therefore no tangible weapons can be effectively employed against him and his minions. We are not given a list of specific tactics Satan will use. However, the passage is quite clear that when we follow all the instructions faithfully, we will be able to stand, and we will have victory regardless of Satan's strategy. 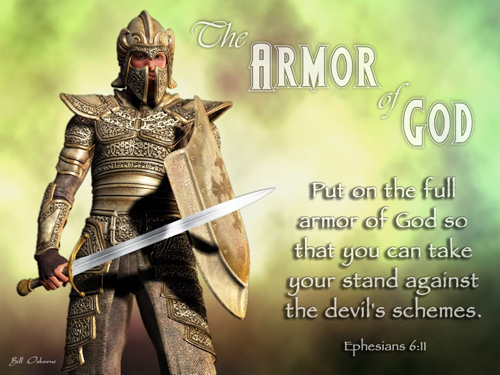 The first element of our armor is truth (verse 14). This is easy to understand, since Satan is said to be the "father of lies" (John 8:44). Deception is high on the list of things God considers to be an abomination. A "lying tongue" is one of the things He describes as "detestable to Him" (Proverbs 6:16-17). We are therefore exhorted to put on truth for our own sanctification and deliverance, as well as for the benefit of those to whom we witness. 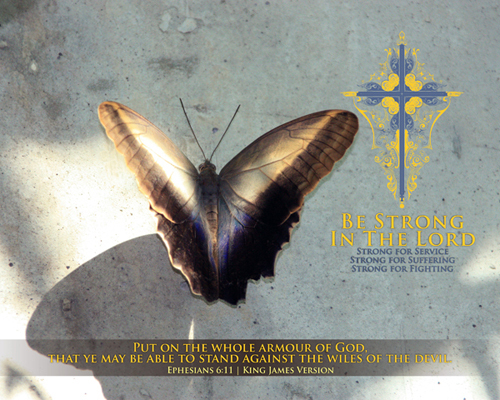 Also in verse 14, we are told to put on the breastplate of righteousness. A breastplate shielded a warrior's vital organs from blows that would otherwise be fatal. This righteousness is not works of righteousness done by men. Rather, this is the righteousness of Christ, imputed by God and received by faith, which guards our hearts against the accusations and charges of Satan and secures our innermost being from his attacks. The shield of faith spoken of in verse 16 makes Satan's sowing of doubt about the faithfulness of God and His Word ineffective. Our faith of which Christ is "the author and perfecter" (Hebrews 12:2) is like a golden shield, precious, solid, and substantial. 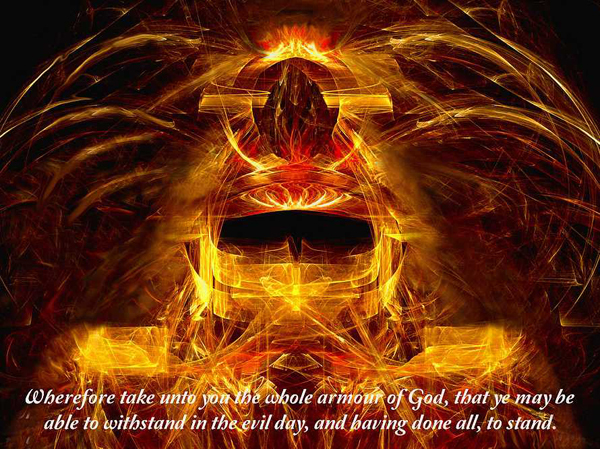 The helmet of salvation in verse 17 is protection for the head, keeping viable a critical part of the body. We could say that our way of thinking needs preservation. The head is the seat of the mind, which, when it has laid hold of the sure gospel hope of eternal life, will not receive false doctrine or give way to Satan's temptations. The unsaved person has no hope of warding off the blows of false doctrine because he is without the helmet of salvation and his mind is incapable of discerning between spiritual truth and spiritual deception. 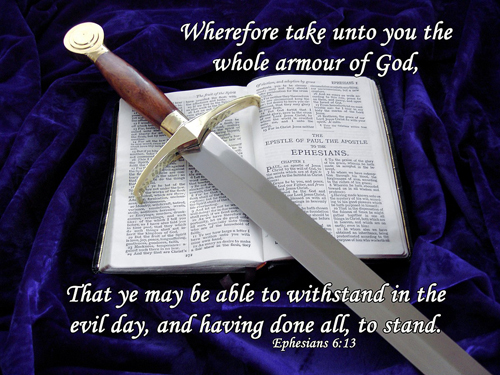 Verse 17 interprets itself as to the meaning of the sword of the Spirit--it is the Word of God. 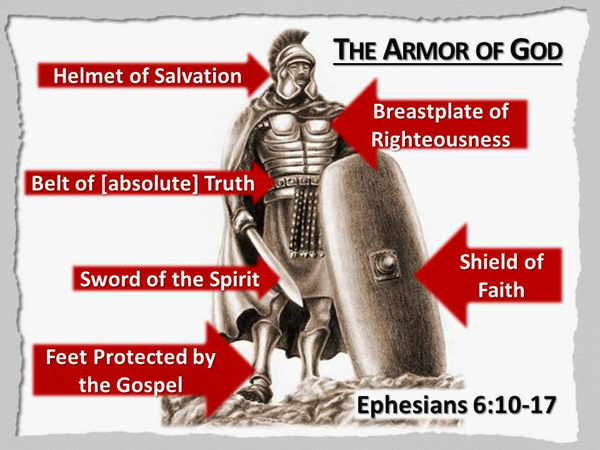 While all the other pieces of spiritual armor are defensive in nature, the sword of the Spirit is the only offensive weapon in the armor of God. It speaks of the holiness and power of the Word of God. 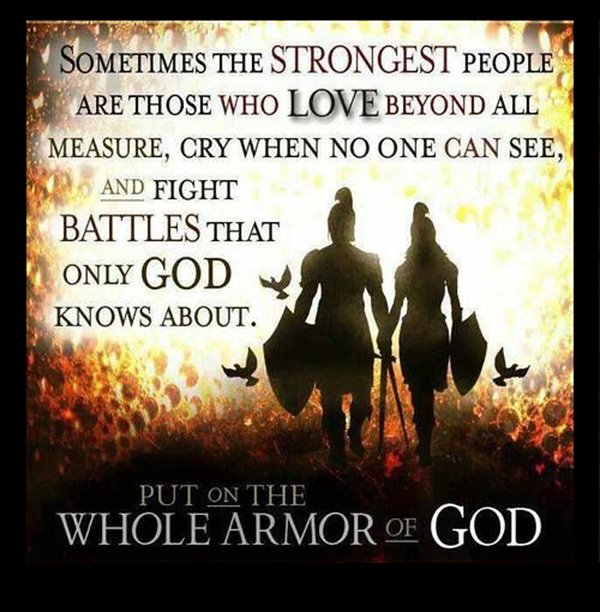 A greater spiritual weapon is not conceivable. In Jesus' temptations in the desert, the Word of God was always His overpowering response to Satan. What a blessing that the same Word is available to us! 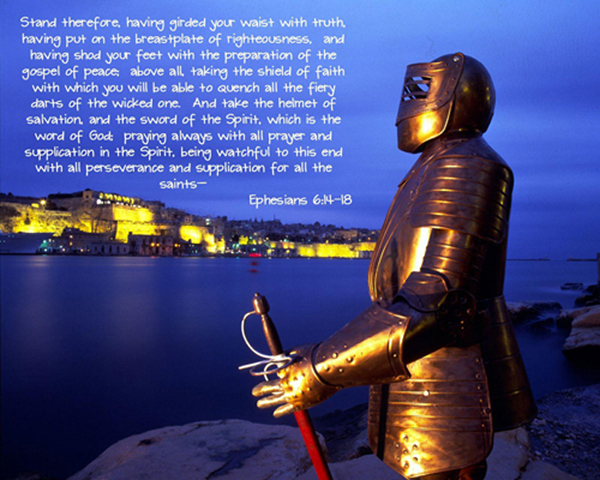 In verse 18, we are told to pray in the Spirit (that is, with the mind of Christ, with His heart and His priorities) in addition to wearing the full armor of God. We cannot neglect prayer, as it is the means by which we draw spiritual strength from God. 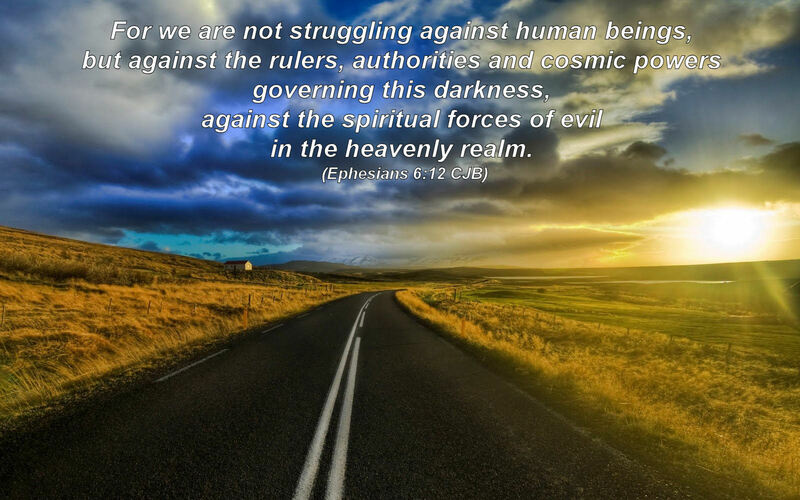 Without prayer, without reliance upon God, our efforts at spiritual warfare are empty and futile. 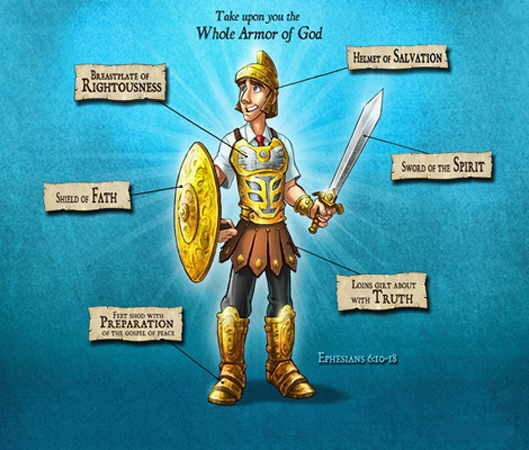 The full armor of God--truth, righteousness, the gospel, faith, salvation, the Word of God, and prayer--are the tools God has given us, through which we can be spiritually victorious, overcoming Satan's attacks and temptations.